What was the first Lotus with De Dion rear suspension? What was the first Lotus with rack and pinion steering? 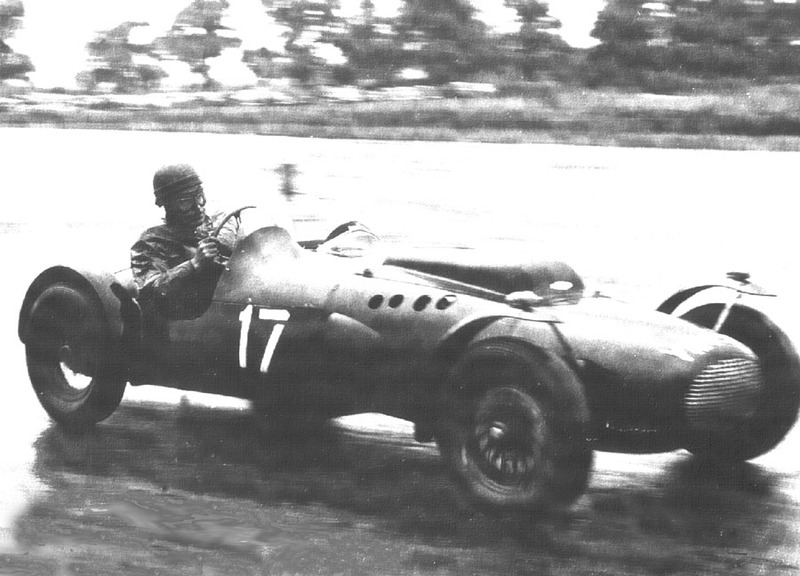 What was the first Lotus Single Seat Racing Car? What was the first Lotus with wishbone front suspension? What was the first Lotus with inboard springs on the front wishbone? See what you think. Don't cheat. Write down the answers, and compare them with the answers I will give in Part 2. The chance meeting of two people resulted in the car that is the subject of this article. The first person is John Teychenne who was born in 1928. The name is pronounced TAY-SHEN-AY. It is a name from the Basque district of Southern France/Northern Spain, although John's family have lived in the UK way back to beyond his great-grandfather's time. Young Johnny was rather irritated by the way his name was mispronounced as a boy, which is why he always said that he was John Taish whenever anyone asked, and this is how his friends of the day still refer to him. Johnny later went on to start the Progress Chassis Company in partnership with Dave Kelsey to make the Mark VI chassis frames, but Johnny and Colin Chapman had been at school together and were good friends long before Lotus. John remembers when they were both in their teens going up to the attic rooms of Stan Chapman's Railway Hotel in Tottenham Lane and shooting dustbins on the platform of the adjacent Hornsey Railway Station with Colin's air rifle. Another early prank was at the Hornsey Town Hall dances where Stan Chapman had the concession to run the bar. Colin would go in with his Dad and open the hall emergency doors and let his friends in free of charge. There was quite a gang of them including Hazel Williams. One day some of them got hold of some Home Guard firecrackers. These were dropped into the floor-standing chromium plated ashtrays and when cigarette ash was flicked in they would go off! Whilst the gang made a hasty exit , the ashtrays would jump around the floor! When Colin teamed up with Nigel and Michael Allen to build the Mark III Lotus racing car in 1951, John decided to build a similar car, but fit it with a Ford 1172cc engine. He was helped in this by his school friend Bob Hester and Dave Kelsey who was sweet on Bob's sister Beryl (they later married). John lived with his parents at 41 Church Lane, Tottenham which backed on to 19 Ribblesdale Road which they also owned. John said: "I'm going to start building a car" and his father replied "What can I do to help?" During the war a bomb had fallen on to the stables at No 19 and John created a workshop using an Anderson Shelter alongside the remains of the stable. It was here that he built his Austin-based car which was registered as a JVT Special about which one magistrate stated "And what on earth is that?" at one of John's early court appearances for vehicle irregularities on the public highway. This car was later sold to Len Terry, who became Lotus Chief Designer in 1959, and he raced it in 1172 Formula races. Later Len stripped off all the components and used them in a new space frame for his own very successful car, the Terrier. The original frame was sold and eventually ended up with a Lotus enthusiast who, believing it to be the missing Mark III chassis, had a replica body built for it and called it the Lotus IIIc. When he showed it to Johnny and Dave they immediately recognised it as the old JVT-1 which did not please him one bit! During the hectic racing season of 1951 John would help the Lotus lads run in a rebuilt Austin engine every Friday night after replacement of blown pistons, ready for the race the next day. It took a route of eight streets in the area to run the pistons in fully. At the time John worked in the Architects Department of Poplar Council. Both John and Colin were keen swimmers, and would go to the Hornsey swimming pool in Park Road, a little under a mile from his John's house. The road took him past Shanklin Road where John was intrigued to see lots of Fiat 500s and Cord saloon cars being worked on in the road. Note from Peter Ross: To see a large scale map of the area so that you may understand the relationship of these various places to the Lotus Works, go to the following web site, and dial in the Post Code: N8.